Just hours after Beijing called off trade talks with the US in the biggest escalation of the trade feud between the two nations, the war of words between China and the US ratcheted up on Saturday, when Beijing lashed out again at Washington, saying that China’s decision to buy fighter jets and missile systems from Russia is "a normal act of cooperation between sovereign countries" and the United States has "no right to interfere", defense ministry spokesman Wu Qian said on Saturday. "The U.S. approach is a blatant violation of the basic norms of international relations, a full manifestation of hegemony, and a serious breach of the relations between the two countries and their two militaries," Wu said in a notice posted on the Chinese defense ministry’s official Wechat account according to Reuters. He also warned that the US would face "consequences" if it did not immediately revoke the sanctions. The comments came two days after the U.S. State Department imposed sanctions on China’s Equipment Development Department (EED), the branch of the military responsible for weapons procurement, and its director, Li Shangfu, for engaging in "significant transactions" with Rosoboronexport, Russia’s main arms exporter. 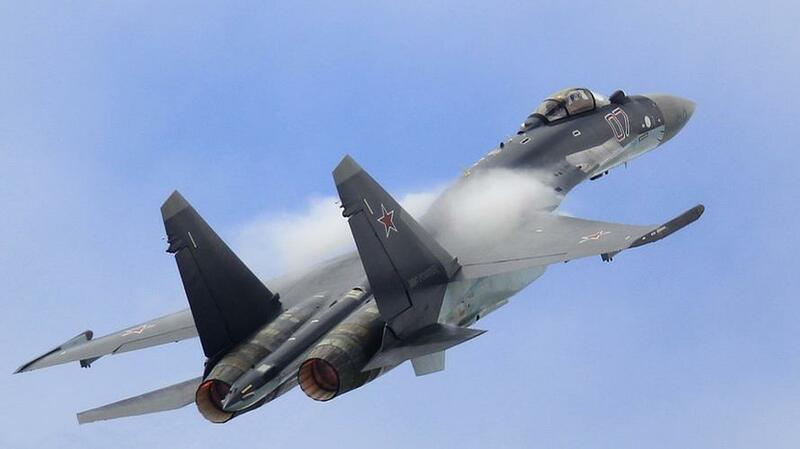 The sanctions are related to China’s purchase of 10 SU-35 combat aircraft in 2017 and S-400 surface-to-air missile system-related equipment in 2018, the State Department said. They block the Chinese agency, and Li, from applying for export licenses and participating in the U.S. financial system, Reuters reported previously. They also followed similar comments on Friday from Foreign Ministry spokesman Geng Shuang, who told reporters in Beijing that the move seriously harmed bilateral relations and military ties. "China expresses strong indignation at these unreasonable actions by the U.S. side and has already lodged stern representations." Geng said. "We strongly urge the U.S. side to immediately correct the mistake and rescind the so-called sanctions, otherwise the US side will necessarily bear responsibility for the consequences," he added without giving details. Beijing has emerged as the first export customer of Russia's S-400 missile system to be slapped with US sanctions over its planned purchase of the system after months of failure by Washington to persuade allies to drop interest in similar deals. As reported previously, NATO member Turkey has refused to comply with US demands to drop its S-400 purchase. India, which has been a long-time buyer of Soviet defense equipment and a market Western arms firms are seeking to dominate, has also refused to drop its S-400 deal despite hints that it could result in sanctions. And in a potential blow to the US military-industrial complex which thrives on weapons sales abroad from the world's biggest exporter of weapons, even markets long dominated by the US are looking more at Russian-made equipment, with Saudi Arabia and Qatar also mulling a purchase of the system; in an ironic twist in June, Saudi Arabia's King Salman threatened to take military action if Qatar installed the Russian-made air defence system. Meanwhile, speaking to Russian media this week, Saudi Ambassador Raid bin Khalid Krimli jokingly said: "I hope nobody will impose any sanctions on us,” upon announcing that Moscow and Riyadh were discussing technical details over the deal. Then again, considering Saudi Arabia's special status when it comes to US special interests, that is highly unlikely.